We at Haddonfield Horror and, also our sister site TheCultDen, have been long supporters of the fantastic Jonathan Chance and his groundbreaking film The Rectory. @ventspleen managed to grab Jonathan for an update on his film. Ever since I heard that a film was to be made about Borley Rectory, the most haunted house in the UK I was excited. Very excited. Even more so, that the film was to be made by celebrated writer and film maker Jonathan Chance. Spend any amount of time talking to Chance and you realise that he knows his craft and his subject. He too is fed up with pointless, soulless remakes and longs for a horror film that truly chills to the bone. 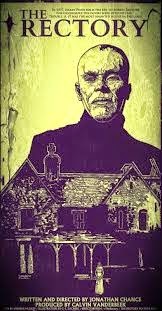 Never one to sit back he has put his film The Rectory firmly into pre production. I thought it was high time we found out how things were going and, after a high profile Crowd Campaign and social media promotion he has attracted followers, backers and fans. Yes Jonathan fans! Hi Jonathan thanks for taking the time to update us on the pre production on The Rectory. No problem, you and The Cult Den have supported us right from the start so always happy to talk to you. Yeah, I remember those days, now we are a couple of years on and with a name change as well. That's right, initially we had called the film "Something Like A Phenomenon" but as Borley is the centre of everything that happens it seemed only right to call the film " The Rectory"
I love the name change it actually sounds more like a ghost story and certainly grabs your attention. Thanks (Jonathan calls me "dude" for the duration of the interview but it just doesn't look right when I type it) and wow has it really been that long? We are now well into pre production and our cast is really beginning to form. Really excited about some of the names we have attached to the project. Crispian Belfrage (Harry Price) actually has an uncanny resemblance to the real Harry and is just the most amazing actor. He has an intensity in his performance that we really needed for such a complex character. But really the whole cast have just such a tremendous reputation for pulling out performances and getting to grips with the character. Yes, I can see that, its great to see the cast forming almost in front of my eyes. 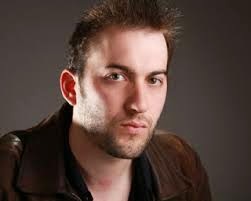 Crispian certainly has that intensity you mention, its all in the eyes isn't it? Yeah but also Harry Price is complicated, he isn't just some ghost hunter looking to make a name for himself, not just that. He actually starts exploring Borley as a non believer almost to disprove the myths. He has a chequered past and needs to clear his name so there's also a desperation that drives him as well. You announced last week that you had Lisa Leonard, Cameron Moir and Declan Laird cast. Ive been a long time fan of Lisa's work so that's really made my day but can you tell me a little about Cameron and Declan? Lisa's great, really fantastic actress but also a lovely person to work with, she has a reputation for top drawer performance and she totally got the concept and character of Louise for the film. Declan is a Scottish actor who has moved to L.A to work. He and Cameron have just been awarded a place as a BAFTA Los Angeles New Comer. Its massive as it really highlights their talent and will really help to get them noticed, they are both awesome, talented actors and I'm so happy for them. They've earnt it! Declan plays Thomas Hastings in the film and Cameron plays Peter. Yeah we hope to start in January (2015) and will shoot at locations in L.A. and England. I already have locations in mind, this will look and feel like an original ghost story because thats exactly what it is. Youve spent loads of time promoting The Rectory on Facebook and Twitter and even spearheaded a crowd funding campaign earlier this year. How has that gone for you? Being and Indie film means I don't have the massive PR and Marketing arms that the corporates do. Cam (Johnathan's wife) is so talented in her own right and is brilliant at supporting and promoting as is Calvin Vanderbeek (Producer) but it pretty much means we have to do all the leg work ourselves. Twitter, Facebook etc are great ways to gain fans and create a buzz about the project. I actually contacted and found some of my cast through initial interactions on Twitter. We are telling the story of Harry Price's year long stay at Borley Rectory. It would be so easy to ruin it by making a big CGI fest and it being unbelievable and not realistic in anyway. I respect CGI art but in horror I think it works best in nuances. Where you don't realise what you see is in fact computer generated. For me, horror is practical SFX it harks back to the classic, golden age of horror. The sort of films we return to again and again. That's exactly what we want to make, a unique take on the true events of Borley Rectory but told as a ghost story, a horror movie. Its also very individual as its the actual church, so called hallowed and safe ground, that is the focus of the activity. You just are not safe even within those walls. I agree, I can only think of Hellraiser 3: Hell on Earth and The Devils Advocate, possibly End of Days. I'm not counting films which feature churches that have been desecrated! So, what else can people do if they want to support you guys. We love our supporters, they've really got behind what we're trying to do. You know, make a truly, memorable ghost story. Something that is scary but so very original. With the way people are supporting us and the enthusiasm we receive with every announcement that support is growing every day. The cast that is beginning to build along with the effects means we can really make something special, something that really really works. Final Question. How are the effects looking? Still cant believe you got Michelle Mulkey on board- the lady is a legend! Michelle IS a legend. She's working on some pretty amazing effects and designs. From what Ive seen so far she is going to totally create what I always imagined onscreen. She's wonderful to work with and cant speak more highly of her. If you want to find out more on The Rectory click on the link which will take you to the films IMDB page-The Rectory or check out the Facebook page Who is Harry Price?